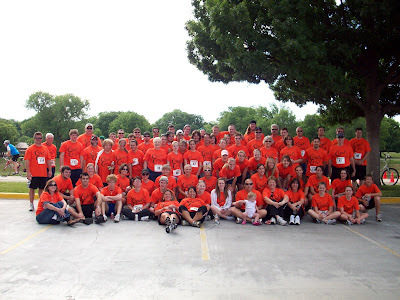 Yesterday my family took part in the LifeGift 5K. LifeGift is an organization that supports organ donors and participants. 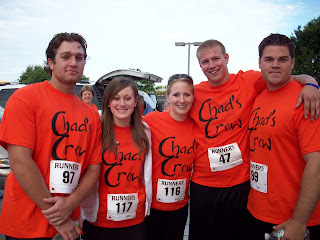 We walked to honor my cousin, Chad Daniell, that passed away in March of 2005. Through a tragic situation, Chad was able to help so many families by donating organs they needed to survive. There were 87 people on our team! It was a big event with music, lots of fun activities for the kids, and LOTS of food! We had a great time being with all of our family! 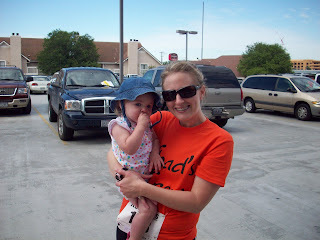 Addie had so much fun at the 5K! 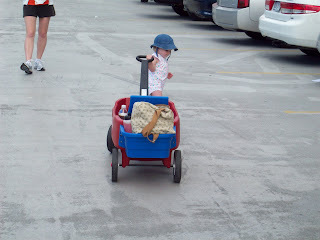 She loved being in her wagon and pushing it! This is my sister, and my three cousins, Matthew, Cole, and Michael, and me! Taber! I love that!! Was that your whole family?? I can't believe you had that many people on your team...what an act of love! Fun Times in the Pool!